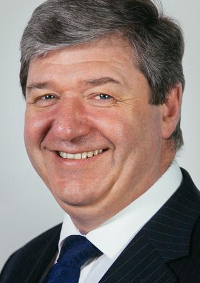 A probe into Liberal Democrat MP Alistair Carmichael over Frenchgate has been dropped after the Parliamentary Commissioner for Standards said it was outwith her remit. Mr Carmichael permitted the leak of a memo falsely stating the First Minister, Nicola Sturgeon told the French ambassador she would like to see David Cameron returned as Prime Minister in last year’s general election. But the commissioner has now abandoned the case because Mr Carmichael became aware of the memo via the Scottish Office and not in his capacity as an MP. Ms Hudson also said the Cabinet Office did not give her enough information to answer questions about Mr Carmichael’s involvement in the matter. She added: “On the same day that I initiated my inquiry, I wrote to the Cabinet Secretary to ask if he might release to me a full copy of the report of the leak inquiry carried out by Cabinet Office officials. Ms Hudson also suggested the MPs’ code of conduct should be reviewed to determine whether members seeking re-election should not be governed by it while a general election campaign is ongoing. The memo had contained a disclaimer that parts of the “conversation” between Ms Sturgeon and the ambassador may have been “lost in translation”.